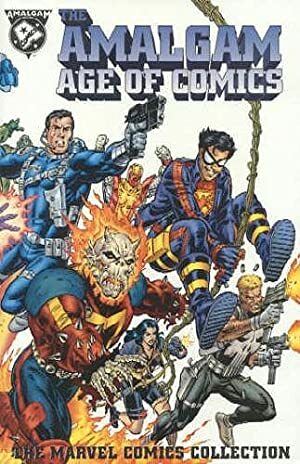 Amalgam Comics was a unique 1996/97 publishing project by DC Comics and Marvel Comics. It published a series of comics where the two universes had merged. Furthermore, the characters themselves had merged (“amalgamed” ) with their closest equivalent from the other setting, with oft-strange results. Our Amalgam writeups are very old – they are contemporary to the event. Since it was 20+ years ago, it was just an amusing exercise in merging the characters’ stats to represent their likely new state. 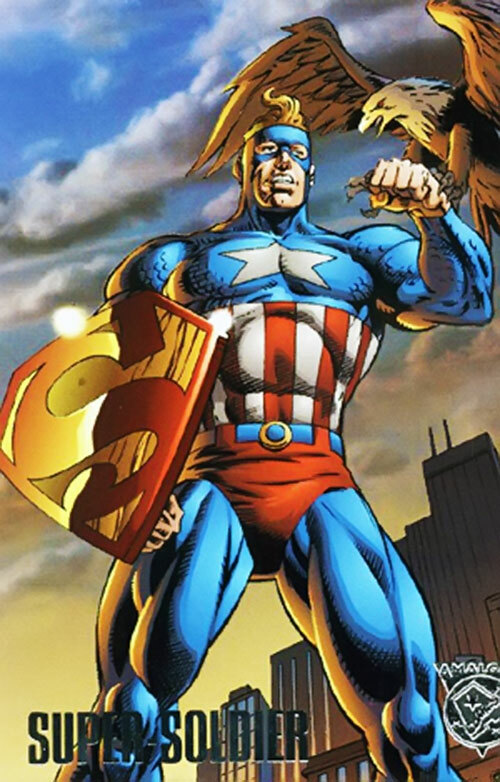 Area Knowledge (Metropolis), Buddy (Jimmy Olsen), Leadership, Lightning Reflexes, Popularity, Sharp Eye. JLA (High), Daily Planet (Low). Secret Identity, Fatal Vulnerability (Green Kryptonite, Range of 2 APs). 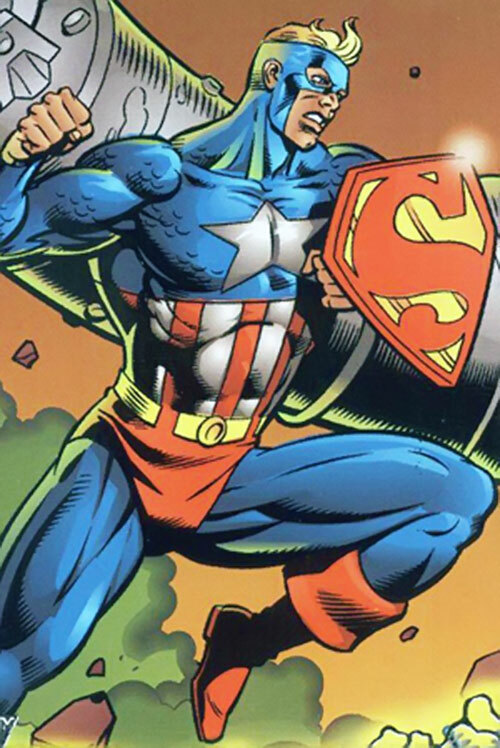 Source of Character: Amalgam comics. Helper(s): Sean MacDonald, Rafael Sant’anna Meyer, JD.